In a time where every band seems to have adopted a synth player or dj, its comforting to discover a band that brings some "soul" back to music. 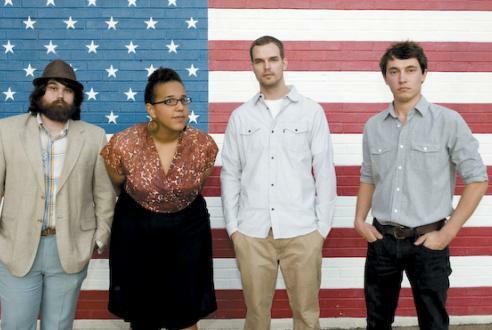 Alabama Shakes could have easily been a band from a past time, with their raspy southern vocals and memorable classic blues guitar riffs. It's this familiarity that makes their music so enjoyable. Even though they only have a four song EP out, i feel confident in saying these guys will be something big in the future. Hey, I like it! Nice and easy listening, feel like I should be relaxing outside while listening haha.